The cheetah reaches nearly 70 to 90 cm at the shoulder, and weighs 21–72 kg. Though taller than the leopard, it is notably smaller than the lion. Basically yellowish tan or rufous to greyish white, the coat is uniformly covered with nearly 2,000 solid black spots. The cheetah is the world’s fastest land mammal. With acceleration that would leave most automobiles in the dust, a cheetah can go from 0 to 96 km/h an hour in only three seconds. These big cats are quite nimble at high speed and can make quick and sudden turns in pursuit of prey. The speed of a hunting cheetah averages 64 km/h during a sprint; the chase is interspersed with a few short bursts of speed, when the animal can clock 112 km/h. 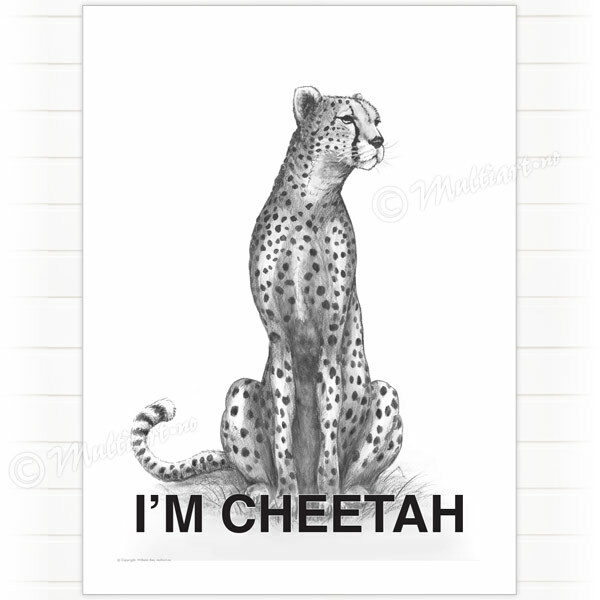 Cheetahs eat small- to medium-size animals, such as hares, impalas, wildebeest calves, and gazelles. Cheetahs live and hunt mainly in open grasslands and bushy areas. Historically cheetahs were found throughout Africa and Asia from South Africa to India. They are now confined to parts of eastern, central and southwestern Africa and a small portion of Iran. In 1900, there were over 100,000 cheetahs across their historic range. Today, an estimated 9,000 to 12,000 cheetahs remain in the wild in Africa. In Iran, there are around 200 cheetahs living in small isolated populations.